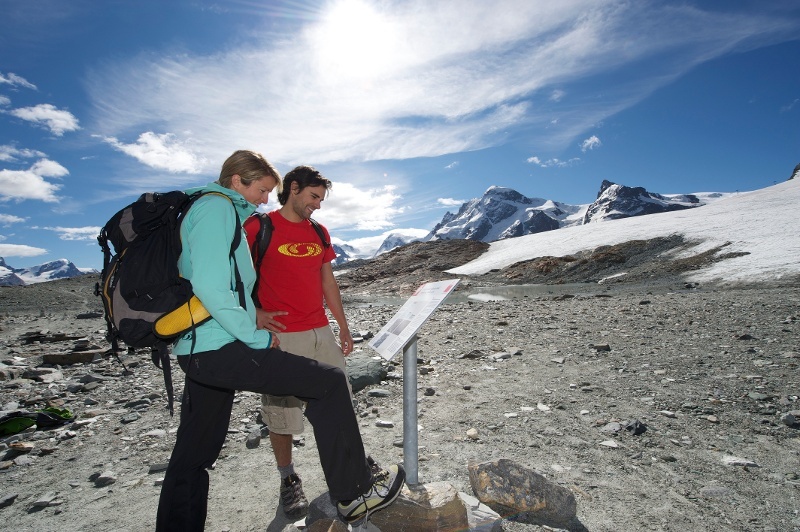 The trail offers hikers insights into the phenomenon of glacier retreat. The path displays what the melting glacier leaves behind, shows the conditions it creates for plant and animal life, and reveals how humans make use of the remains from the river of ice. Now and again, a gentle breeze descends from the glacier: a cold kiss from the perennial snows. It smells of snow, ice, stone, water and the purest mountain air. 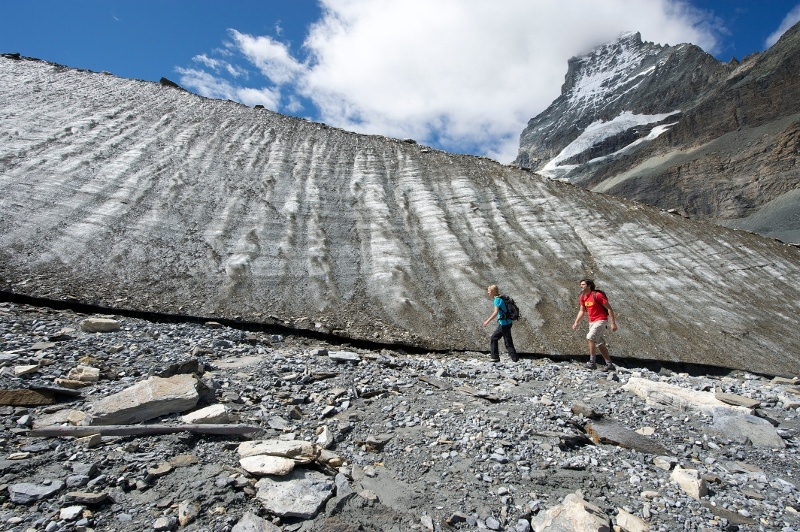 Since the Little Ice Age around 1850, the Furgg and Theodul Glaciers have retreated by more than three kilometres. Information panels at various key points tell the fascinating story. Anyone finding historical artefacts is required to hand them in to the tourist office, to be passed in turn to the canton’s archaeologists. 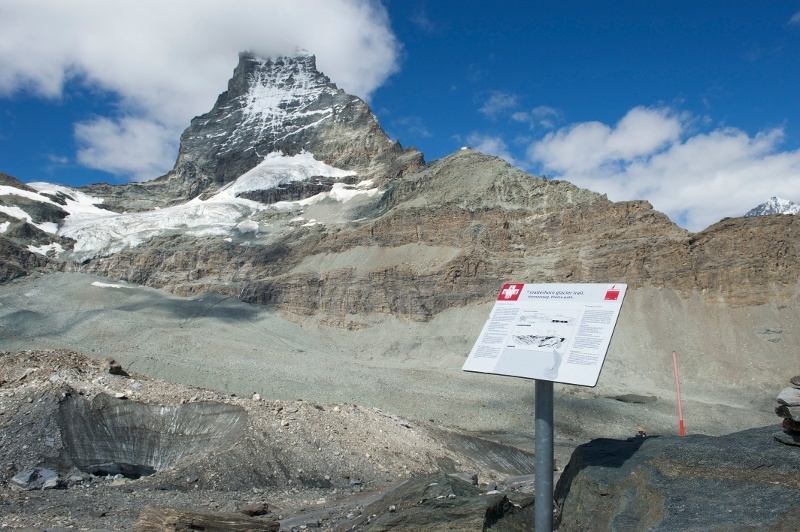 Do not miss: The mirror image of the Matterhorn in the lake of the Theodul glacier.